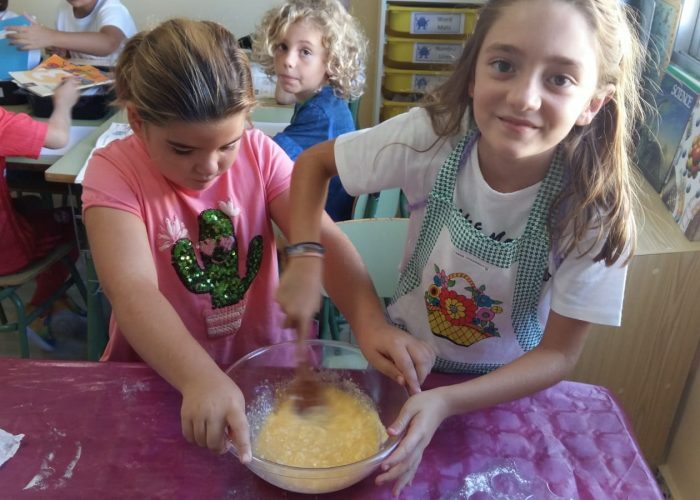 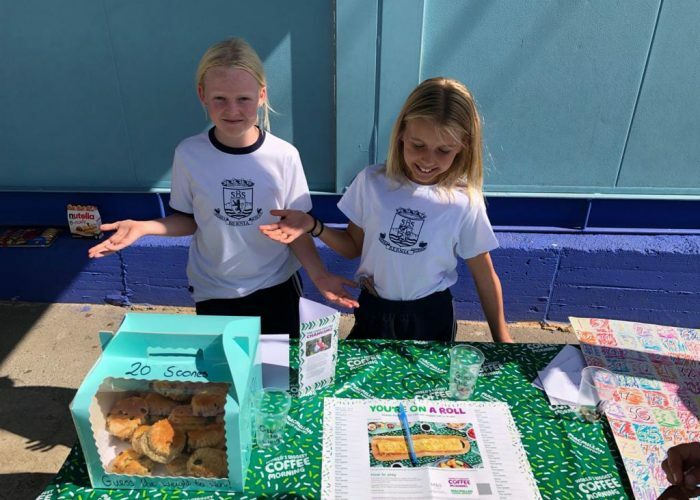 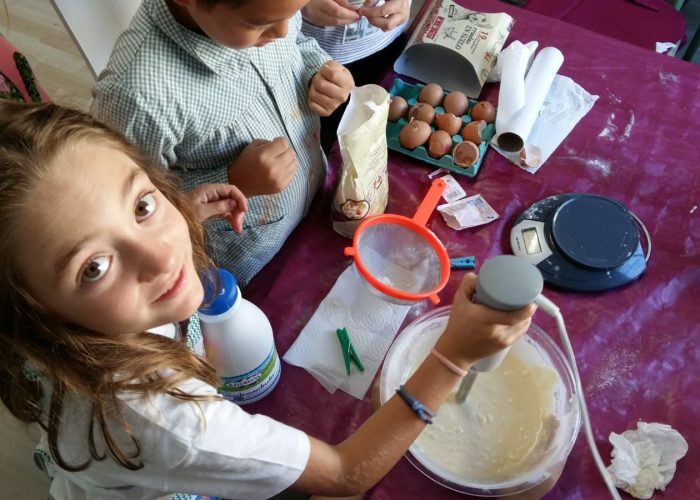 Last week Sierra Bernia British School in Alfaz continued with their longstanding tradition of helping out in the community by participating in the Macmillan Cancer’s Worlds’s Biggest Coffee Morning. 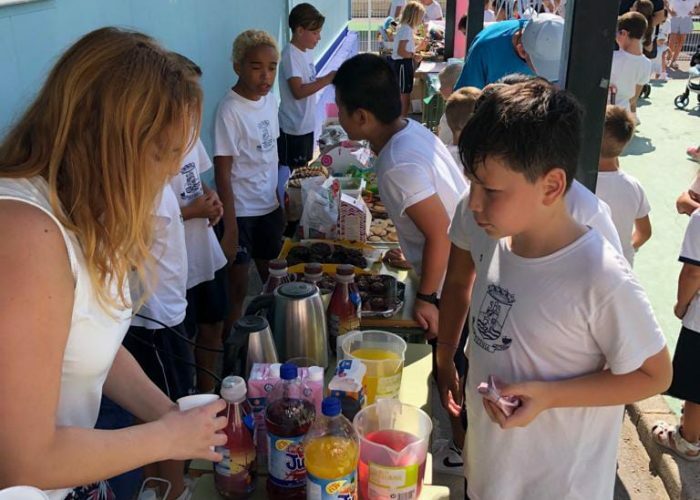 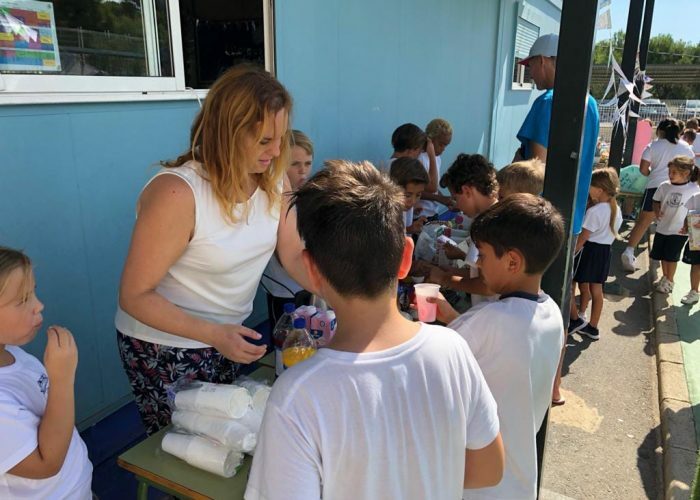 As with all their many charitable events, it was a family inclusive affair with participation from all the classes in the Primary School and their parents. 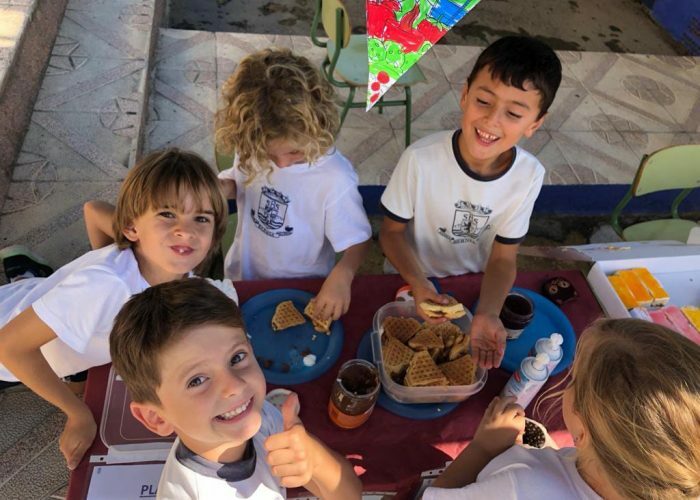 The children baked many delicious treats from scratch in their classes, ranging from cupcakes to waffles, cakes and biscuits learning many mathematical concepts along the way; whilst the parents were invited to “Bake It or Fake It” and brought in home made or shop bought sweet treats. 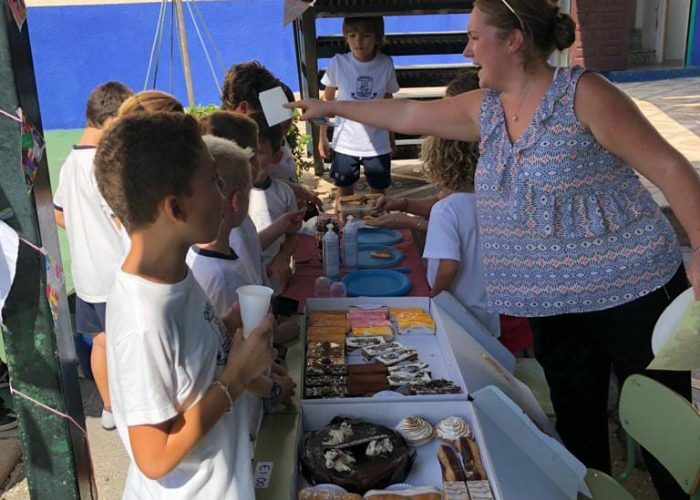 Mrs Gray, the Primary Head teacher, was proud to report that the parents once again had responded in typical fashion by donating a huge amount of baked goods. 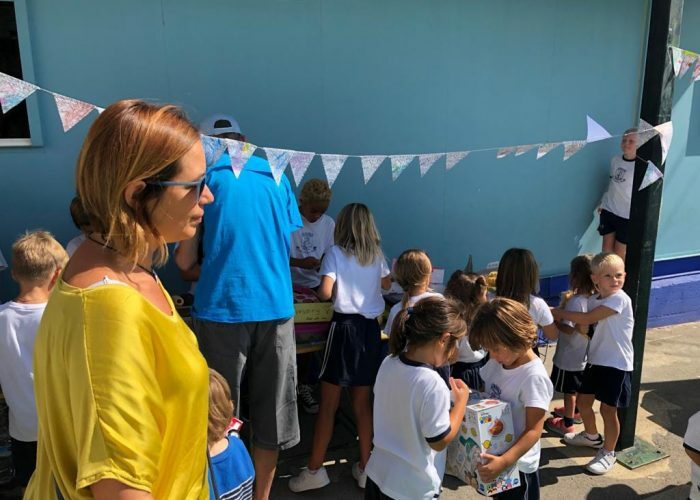 To encourage solidarity and the importance of recycling amongst the children, they were also invited to bring in any books or toys they no longer used in order to sell and donate the profits to such a worthy cause. 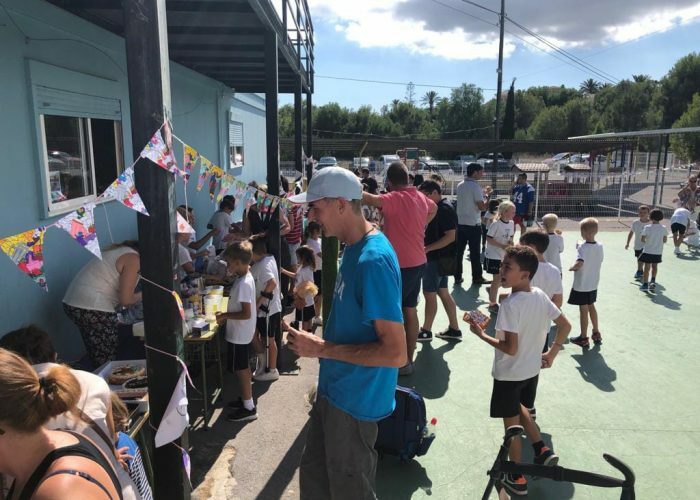 The coffee morning was a fantastic success, with everyone enjoying the party atmosphere, tasting the delicious homemade cakes, browsing the book and toy stall, or just enjoying the chance to chat together in the Autumn sunshine we are so lucky to have here. 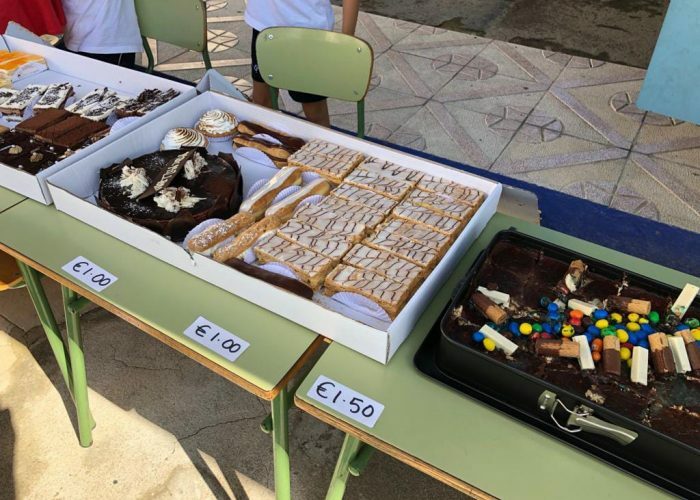 The current total stands at an amazing 485.51 Euros which we feel proud and honoured to be able to donate to the Macmillan Cancer Trust.